It’s no secret that we’re a little smitten for Spring Spa. 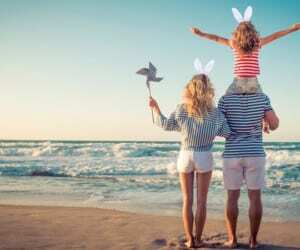 And when we say a little, we mean we can’t seem to get our sandy bums off the squishy mani-pedi loungers, nor our tangled tresses from beneath the expert hands of Spring’s stylists. 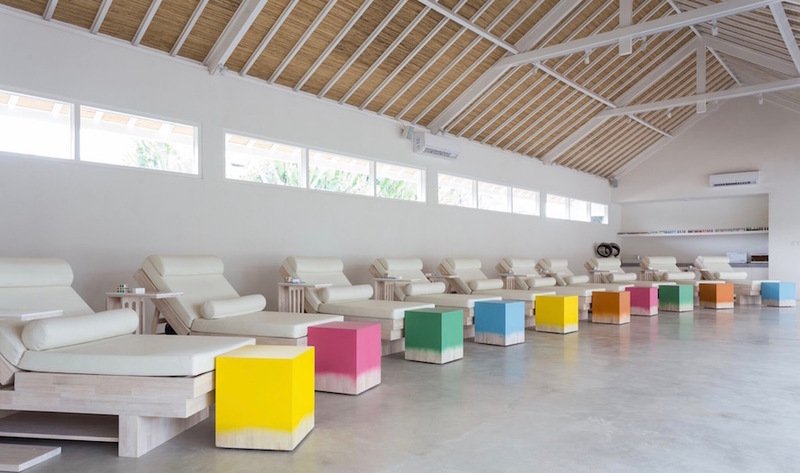 In fact, we’ve gone as far to say that Spring is our fave spa-ing spot on the island, be it for a raw facial, an ahhh-mazing massage, or a too-legit-to-chip shellac mani-pedi. 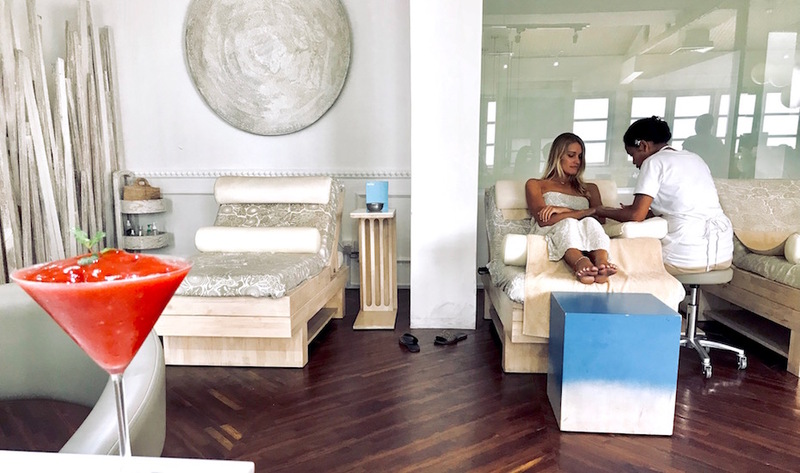 Well, now this award-winning New Zealand-born spa group has gone and changed Bali’s spa game for the better, with tiga locations on the island for Bali’s blissed-out babes [and boys] to get their mitts, tootsies and tresses on a twenty-first century pampering sesh. 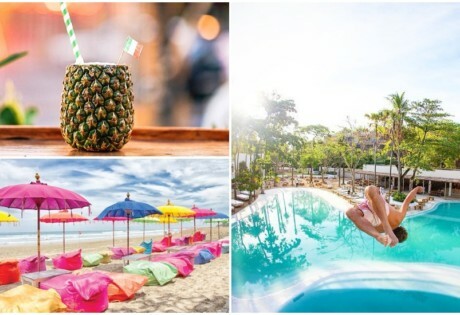 Yup, three really is the magic number for Spring, now on Petitenget, in Seminyak Village Shopping Mall [which just won Asia’s Best Day Spa 2017 for the second consecutive year], and most recently, on Canggu’s bustling Batu Bolong strip. 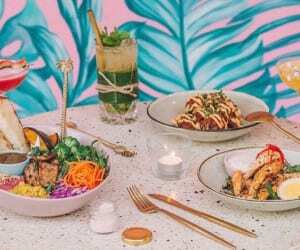 So to shake up our regular [ahem, weekly] visits to Spring, we saw it as high time to try something new, and nothing caught our islandy eyes quite like a package that includes a cold coconut or an icy mocktail alongside their dang spesh hair, body and nail treatments. 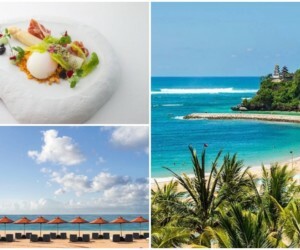 Introducing, the All Maid Up and Balmy Bali packages. 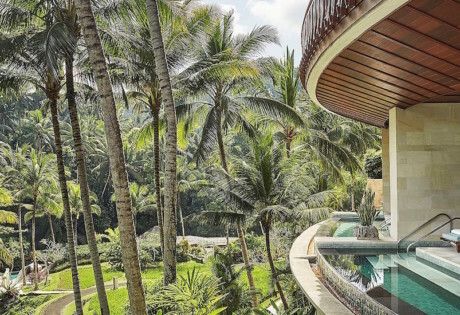 Beginning with the latter, the Balmy Bali package treated our bods and locks to two hour’s worth of Spring magic. First up was the kind of Balinese massage that you really do want to write home about. 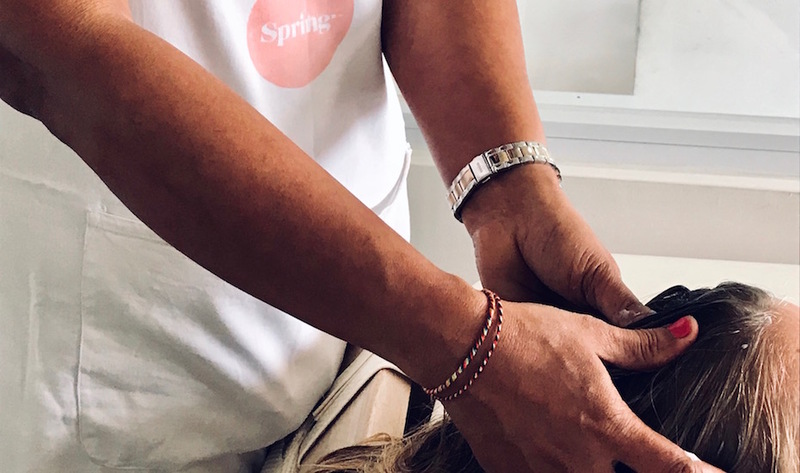 The profesh therapists know exactly where to press, stroke and knead the flowery Frangipani oil – not by simply following a choreographed routine, but rather by hunting down those knots and pinpointing any pesky tension. The blissful massage was then followed by the cream bath of all cream baths. As you’re propped up in the oh-so-glam hair spa as Spring’s onsite DJ turns live tracks on the decks [we’re here to rejuvenate not meditate, after all] a luscious L’Oréal Cream is massaged into your just-washed tresses, using all of those nifty thumb and finger techniques on your scalp and temples. And to help you hydrate [and get into the islandy vibes] you’ll also get an enormous and chilled coconut to sup on as you spa. 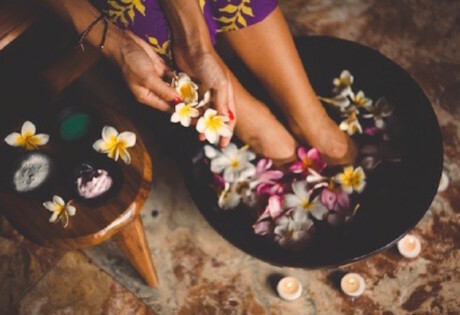 As for the All Maid Up package, we highly recommend you follow up the Balmy Bali with this more-than-just-a-mani-pedi package if [like us] you love an all-day spa sesh. Not your usual buff-shape-paint-repeat combo, the All Maid Up mani-pedi package is a two-hour ritual of supercharged pampering that includes a brown sugar hand and foot scrub [complete with a quirky watering-can foot rinse], a massage using that magical frangipani oil, and a frangipani lotion to supple up your digits. 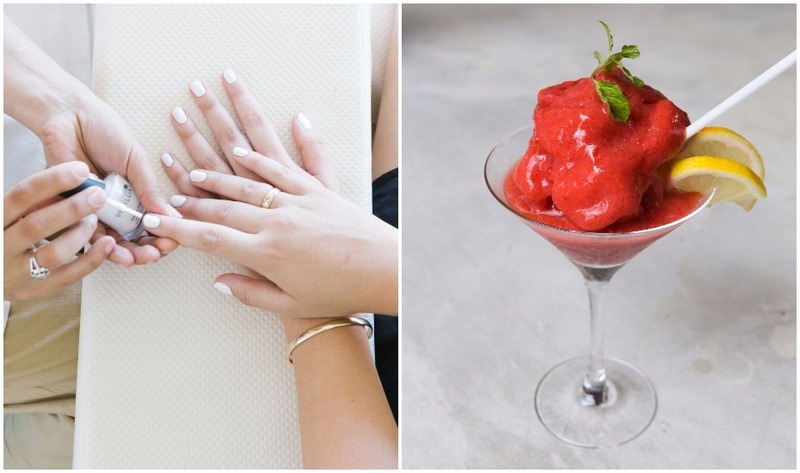 And that’s before we even get to the Shellac professionals who’ll paint to perfection as you sip in the oh-so-juicy Froze mocktail. Top tip? Add on an additional Blow Dry for extra bliss! Yup, this sanctuary of cool has just given us two more reasons to turn up and tune out in a world-class spa in-between coffee dates and beach hangs. 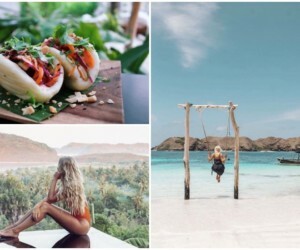 So go ahead and add these packages to the top of your Bali bliss-list, too – we guarantee you’ll leave with a Spring in your step! Spring Spa Bali, Petitenget: Jl Petitenget 100x, p.+62 852 39141775, e. petitenget@springspa.com, Seminyak: Seminyak Village Shopping Mall Jl Kayu Jati p. +62 813 38627222 Canggu: Jl Raya Batu Bolong 83c, p. +62 853 3844 7500. Open daily 9am – 9pm.